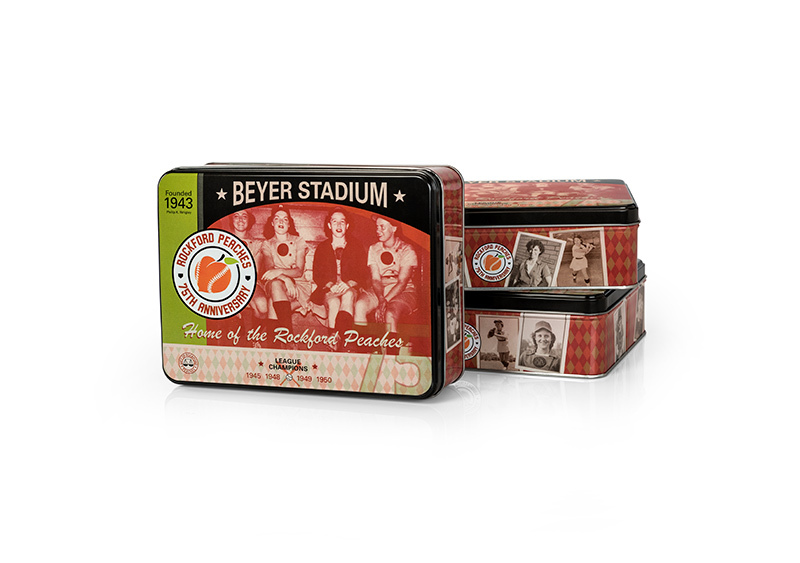 Digital Hive Mind (DHM) designed the artwork for a limited edition collectable tin commemorating the 75th anniversary of the Rockford Peaches. 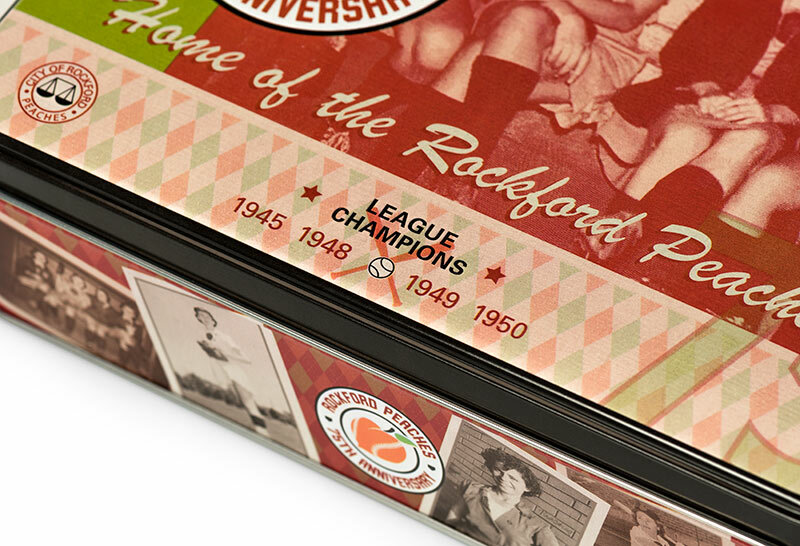 The Peaches 75th anniversary festivities will take place between May 30 and June 3 with several events in the Rockford, Illinois area. As the in-kind sponsor, J.L. Clark manufactured and donated the tins to the International Women’s Baseball Center (IWBC). 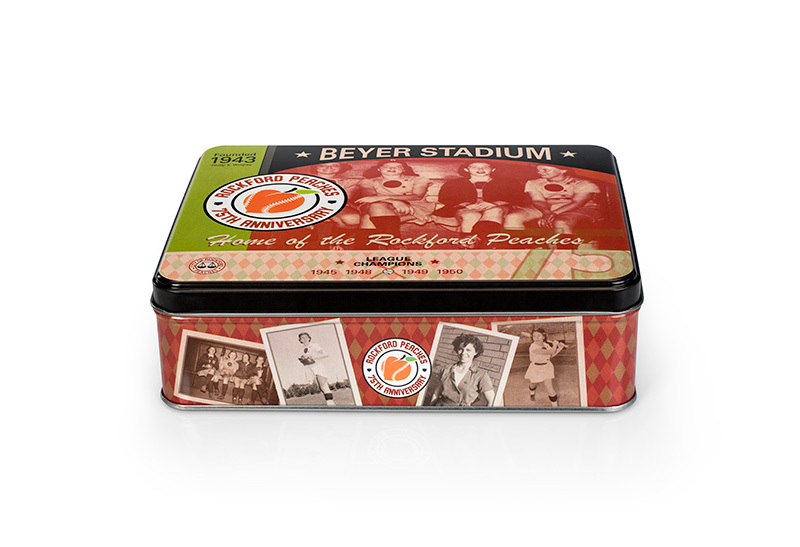 The IWBC will be selling the tins for $20 each at PeachDIVA booths located at each event. Proceeds will benefit the International Women’s Baseball Center’s capital campaign to raise funds for the construction of a center celebrating women’s baseball near Beyer Stadium in Rockford, Illinois.